Krishna Homes Builders Thrissur | Thrissur Apartments, Flats, Villas, Trichur, Thrissur Builders, Guruvayur, Chalakkudi, Kodungallur, Irinjalakuda, Builders in Trichur for Flats, Apartments and Villas and Real Estate Development. R.C.C. Framed structure 20 cm solid concrete blocks for external walls, 11 cm wire cut bricks for internal walls. Cement plastering for all areas and Water proofing for terrace floor. Powder coated Aluminium windows and Ventilators with M.S.Grills. Teak wood frames and panels for front door of all flats. Quality hard wood frames and marine ply wood/FRP panels for all other doors. FRP Panel door for bathrooms. Vitrified tiles for living, dining and all bed rooms. Skid free ceramic tile flooring for kitchen, work area and all bathrooms. Kitchen counter with Granite top and stainless steel sink, single bowl with drain board and Glazed tile above the working platform to a height of 60 cms. Non skid ceramic tiles for floors and glazed tiles for walls upto a height of lintel level. Consealed piping, white color sanitary fixtures and C.P. fittings. Hot & cold mixer taps with shower, wiring for geyser in master bedroom toilet. Concealed conduit wiring with copper conductor, Adequate light and fan points, 6/16 plug points etc. controlled by ELCB and MCBs with independent 3 phase meters. Putty and acrylic finish for all internal walls and Enamel paint for woodwork, weather proofing paints for external walls, and teak polished panel door for front doors. Cable TV connection in living room and master bedroom. Concealed conduit wiring for telephone in living room and master bed room. Once allotted, agreement to be signed in 21 days, the prices are firm. All payments only by demand draft or by local cheques favoring Krishna Homes payable at Thrissur. At the time of executing the agreement the total amount due as per the schedule has to be paid and balance payment through post dated cheques as per the schedule. 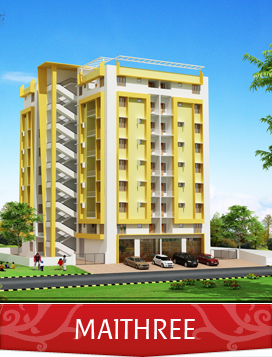 Krishna Homes reserves the right to accept or reject any application. The plans are not drawn to the scale and are included only for the purpose of identification. The measurements shown in the plans are indicative and may vary. Furniture layout is only and indication of space utilization. The elevation shown is an artistic impression only and the actual may vary according to the practical site conditions. All measurements and specifications shown are subject to minor variations without specific and general notice. All such variations and alterations shall be purely at the discretions of the builder, as per the KMBR. If the purchaser is not entering into agreement with the builder along with the payments within 21 days, the builder has the right to cancel the allotment. In case payments are not made as per the agreement signed, the builder reserves the right to cancel the allotment, in which case the amount paid till such cancellation will be returned only after allotment of all flats and without any interest. The purchaser is bound to obey the Kerala Apartment Ownership Act 1983 and rules and regulations as per the Byelaws of the Association in a later stage. 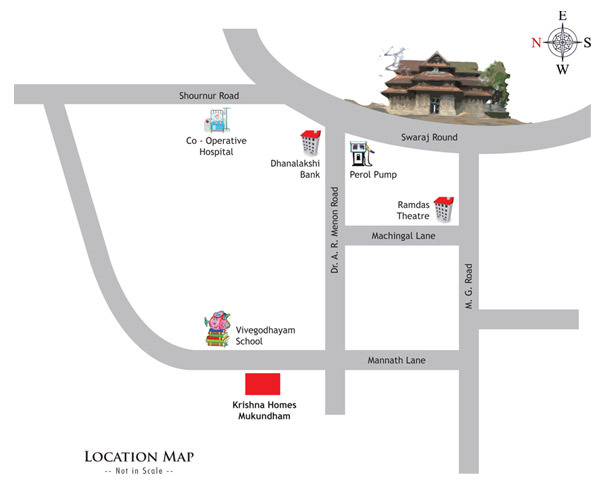 All dimensions given in the plans are not to scale, any disputes are subject to Thrissur Jurisdiction only, and the information provided in the website does not constitute a legal offer. Ph: +91 487 2325552, 2325553. 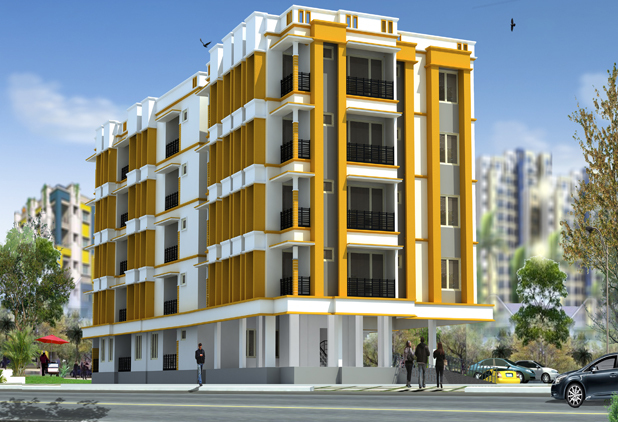 Copyright © 2012, www.krishnahomes.in, All Rights Reserved.